Terrorism may have ended in 1995, but the people of Punjab are still wounded. It is an honour for us to host you and your lovely family. You are one of the most liberal leaders in the world, and we are delighted that you are here to strengthen the Indo-Canadian bond. I really admire how India and Canada share so many similarities like embracing multiculturalism, pluralism and diversity. And how Canada has its very own mini Punjab with several Indian Punjabis spanned across different places of the country, be it Vancouver or Toronto. We appreciate that you have inducted four Sikh-Canadians in your cabinet. The levels of liberalism that Canada’s politics has introduced of late are indeed laudable. Every Indian praises the fact that the Indian community forms one of the most prominent and well-integrated communities in Canada. With thousands of Punjabis visiting Canada every year - for work, study or for settling there, your country is like a second home for us. Punjab and Canada even share a direct hotline, which shows how connected Indians and Canadians really are. I visited Toronto, Canada in 2004 and felt like I was in my very own Punjab. The love and warmth that Canada has showered on the Indian community make us respect your country even more. For all these reasons and many more, India was looking forward to your visit with great enthusiasm. However, it’s very unfortunate that your week-long trip to India, instead of gaining positive traction, started on a negative note by bringing back the dreadful Khalistan memories. I am glad that you had a fruitful meeting with Captain Amarinder Singh and assured him that Canada does not support any separatist movement in India or elsewhere. I hope you will understand that as the head of a highly volatile, bordered state, it is natural for Captain Amarinder Singh to be sensitive towards the Khalistan issue. I understand that world over politicians indulge in appeasement politics for various reasons. Even in India, we have seen many political parties adopting politics of appeasement as the preferred brand of politics. For you as well, the Sikh population makes a considerable vote bank in Canada, and hence, your over-appeasement policies for the Sikh radicals is comprehensible. However, you are mistaken that Punjab is predominantly a Sikh state. In fact, the Hindu community in the state forms more than 38 per cent of Punjab’s population. Similarly, in Canada too, Hindus represent over 1.5 per cent of the country’s population, while the Sikhs count for about 1.4 per cent. 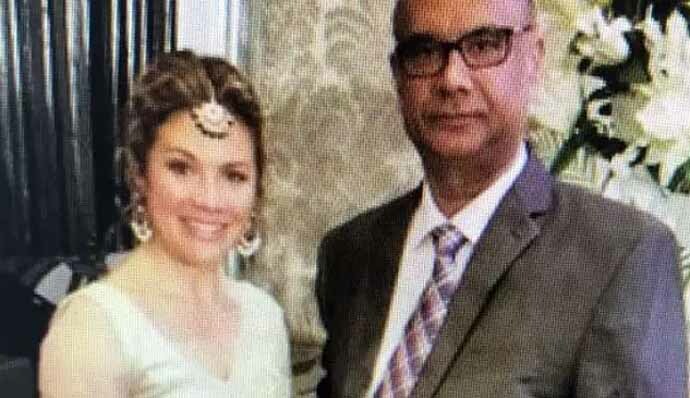 The consequences of this over appeasement politics of your government towards the Sikh radicals can be grave, not only for India but Canada as well. The security of both the nations is at stake, and your country’s law and order have apparently been relatively soft towards Sikh separatists, giving the fringe elements shelter under the garb of the right of political freedom of expression. I know that you are a liberal voice and that you believe in freedom of expression. But, at the same time, you cannot support that freedom of expression which promotes division in another country. With reports making the rounds that your ministers support the Khalistan movement for a separate Sikh state, it is pretty obvious for Indian Punjabis to get upset, and I am no exception. I am hurt because I feel proud of belonging to Punjab, the beautiful land of five rivers, and would never want it to be divided again. My love for my state is above all. Sadly, you haven’t heard enough of the Khalistan movement, and probably, you have been misled or misinformed about the same. Now, if I may please take the liberty to use my foe, I would really want you to know the history of Punjab from a Punjabi’s eyes - from someone who has witnessed and lived through the horror of the Khalistan movement. I wasn’t even born when the Khalistan movement started, and I assume you must be a toddler at that time when the Khalistan movement was at its peak in India. I am a Hindu Punjabi woman, and I want to tell you about my Punjab. Once known for its valor, prosperity and immaculate strength under the leadership of maharaja Ranjit Singh, today’s Punjab is no longer the same. At present, you will find Punjabis migrating to Canada, Australia, New Zealand and other western countries in huge numbers. In fact, almost every home in Punjab has one member living outside of India. Ever wondered why? Well, the reason is "terrorism" – those horrifying days of the Khalistan movement that continue to haunt every Punjabi even today. The Khalistan movement which flourished in the 1970s and 1980s killed the very essence of Punjab. Around 21,641 people lost their lives to the Khalistani terrorism. Villages were destroyed, and Hindus were specifically targeted. Buses carrying Hindus were burnt, Hindu passengers were pulled out of vehicles and shot. Regions like Jalandhar, Ludhiana, and Amritsar were the worst-affected. A village named Jagdev Kalan in Amritsar had witnessed the worst slayings of Hindus by terrorists. In 1987, 30 people were killed in this village alone. An entire generation was lost to terrorism in this village, and now, another generation is being killed by drugs. The seeds of terror that were sown by the separatists back then have now turned into a drug epidemic. Punjab was burning during the insurgency, and it is still burning. All that I could recall from my growing up years in the 1980s is the atmosphere of fear that people of Punjab had to live with for over 17 years. In an age where many enjoy their childhood, children like me had to face a constant fear. Our school dresses were changed, and we were forced to wear Khalistani dresses. Most of the times, our schools were shut due to militancy, and when we did go to our schools, we were forced to recite Khalistani prayers. Terrorism stopped in 1995, but the people of Punjab are still wounded. India lost its most charismatic prime minister, Indira Gandhi, to the Punjab insurgency. The land of green revolution turned red and ever since, the state couldn’t come out of the destruction the Khalistan movement has caused. Many countries still fund terrorist activities in Punjab, and Canada is alleged to be one of those. You couldn’t even imagine the extent of fear and anger that we go through when we hear news about your country having connections with Khalistan sympathisers. As proud as we feel when we listen to the news of Indians getting representation in your cabinet, we feel almost double the amount of wrath when we go through reports that your defense minister Harjit Sajjan is connected to Sikh separatists, or when we see you participating in events which feature Khalistani flags and posters of Jarnail Singh Bhindranwale, or when a Khalistani terror convict, Jaspal Atwal, is photographed with your wife in our country, and we get to see several of his photographs with you as well. Mr Trudeau, you must understand that for Indians, all this goes beyond politics. Just imagine the extent of rage you will experience and the upheaval that will be caused if tomorrow any community demands a separate country in Canada. That’s the feeling we have been living with for decades now. And seeing Canada backing the activities of Sikh separatists is nothing less than a breach of trust for Indians who have always supported and loved Canada. Now that you have assured us that Canada does not support any separatist movement, I am sure you will prove your words. When you go back to Canada, I hope we won’t see you in any of the Khalistan backed events that may hint at your complicity with Khalistanis, even if you don’t support them. Loving your and Sophie’s colour-coordinated clothes and in awe of your entire family. Your children are truly adorable. Xavier, Ella-Grace, and Hadrien have become the darlings of Indian media, and we couldn’t get enough of their smiling faces. Mr Trudeau, you are a family man, and you have a beautiful family. For someone who understands the importance of relations this much, I am sure you will prove that your relations with India go beyond politics and that you really care about both the nations’ security and sovereignty. We look forward to hosting you in your second term soon. Wish the best for India-Canada ties and hope that the two democratic countries continue to share the love and affability they have for each other.